© Photo: Event Horizon Telescope collaboration et al. 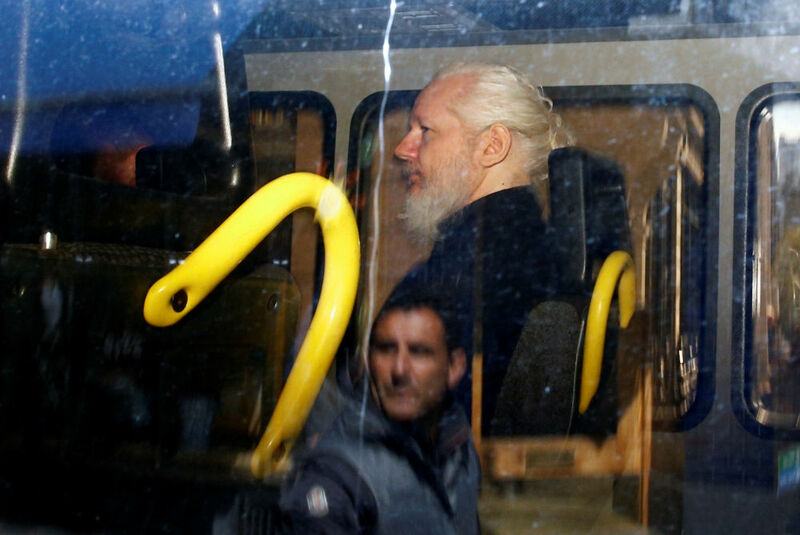 WikiLeaks founder Julian Assange is seen inside a police van after he was arrested, in London, the UK, 11 April 2019. From World Health Day to the International Day of Human Space Flight, from the image of the black hole at the centre of galaxy M87 to the photo of Julian Assange in a police van, from the Arctic: Territory of Dialogue international forum to German Chancellor Angela Merkel playing with a handball — these are just some of the events that have been taking place around the world over the past week.